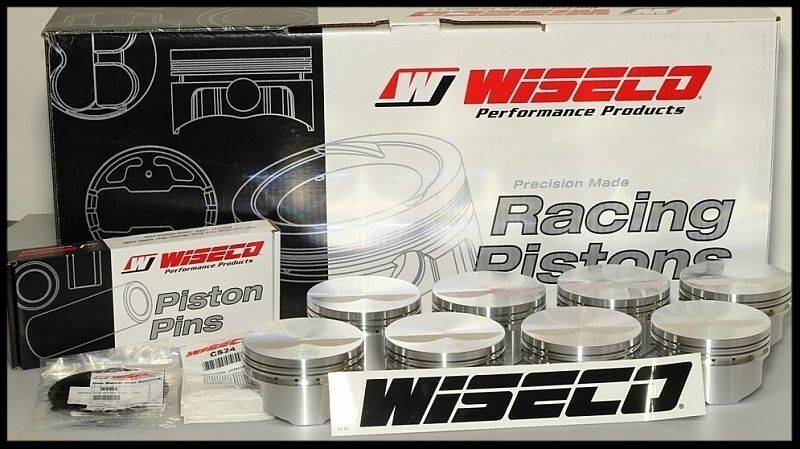 WISECO FORD FORGED PISTONS & RINGS 4.155 BORE SIZE FOR FORD 370 STROKER ENGINES, -9.5cc DISH TOP FOR USE WITH 5.4 BUSHED OR PRESS FIT RODS. USE 3.4 STROKE CRANK. .927 WRIST PINS INCLUDED. 1.5mm 1.5mm 3mm rings included. The calculations below assume your pistons are at zero deck. Let's say your compression calculates out to be 10.86, for example based on having the pistons at zero deck (flush with the deck), but your pistons were going to be .005 in the hole, then the comp. ratio would only drop to 10.72, and if left .010 in the hole, then it would drop to approx. 10.59 We do recommend having your block decked to allow the piston to set anywhere from flush (zero) to .005 in the hole for optimal performance. We used a 4.200 head gasket diameter, and a .040 head gasket thickness in our calculations to come up with our comp. ratio values. 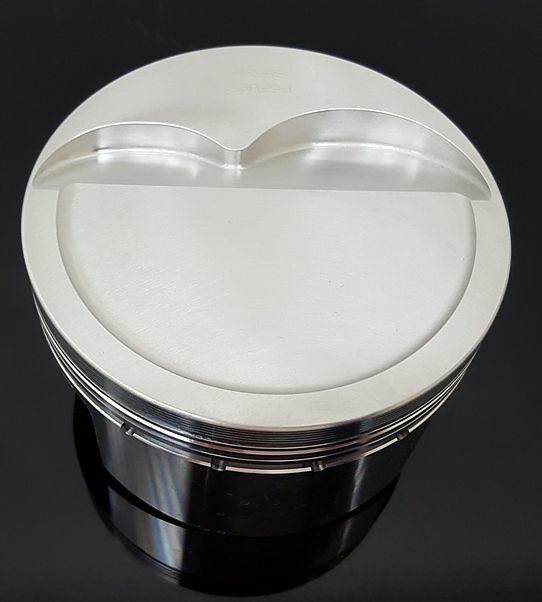 The picture above and below of the side view of the piston is a file photo, and actual appearance may vary slightly. 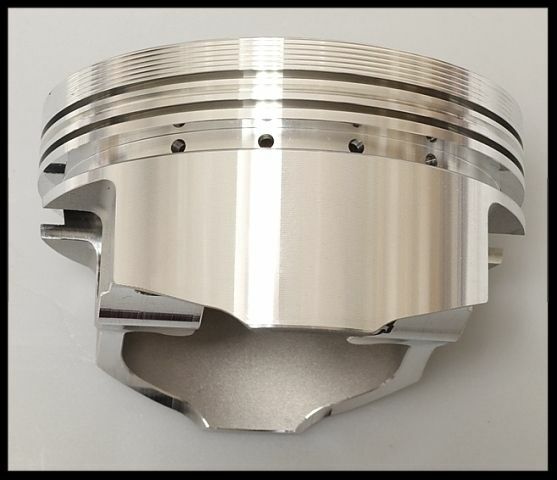 The picture below of the side view of the piston is a file photo, and actual appearance may vary. These pistons are for use with 5.4 full floating bushed rods, or press fit. 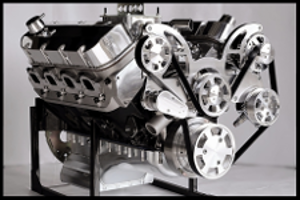 The compression height is 1.090 WITH 2 VALVE RELIEFS. SEE FULL PISTON SPECS BELOW. 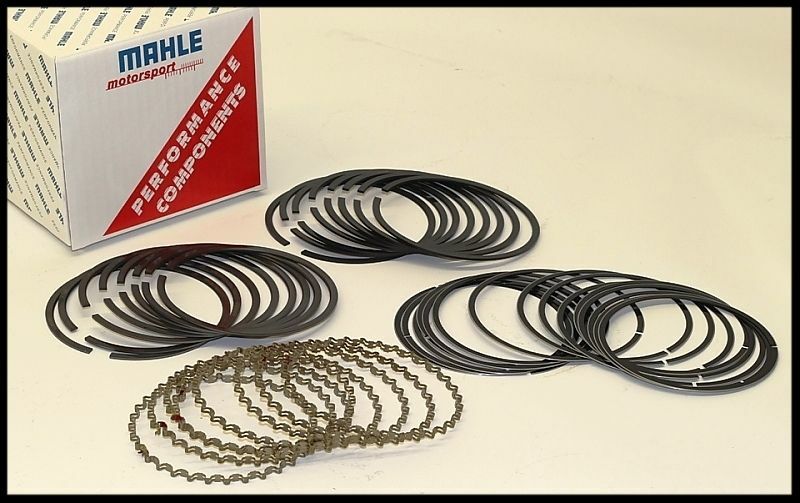 MAHLE PLASMA MOLY RING SET INCLUDED. MOST OTHER VENDORS DO NOT INCLUDE THE RINGS. THIS IS UNDOUBTEDLY THE BEST RING SET MADE FOR THESE PISTONS. 1.5 1.5 3.0mm FILE FIT. STANDARD TENSION. 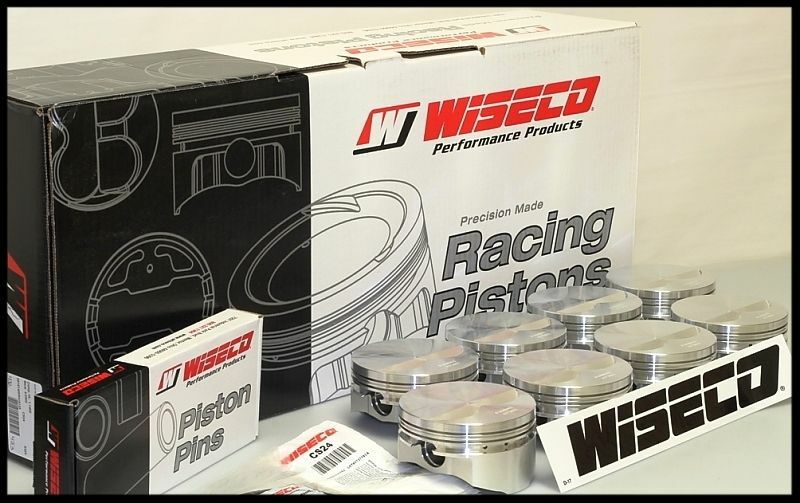 We offer these pistons in other bore sizes. See our other listings.